The Mercedes stand at the 2018 Detroit auto show in January. FRANKFURT -- Mercedes-Benz, a high-profile mainstay of the Detroit auto show, is poised to withdraw from the event next year, sources at the German carmaker said. "We have to look at whether a trade show like Detroit fits with the cadence of our launch calendar and whether there's a more effective format for our needs," said a senior Mercedes executive close to the plans. "The G class was the perfect product to debut this year, but the likelihood we will be in Detroit next January is very slim. That doesn't mean however we are ruling out a return in 2020." A withdrawal would mark the latest setback for the North American International Auto Show, which has watched brands such as Mazda, Volvo, Porsche, Jaguar and Land Rover pull out as automakers pay closer scrutiny to costs and weigh the best outlets for marketing dollars. The absence of Mercedes from Detroit's Cobo Center would have an outsized impact. The automaker has traditionally occupied signature space near a high-traffic entrance and has supplemented its show-floor press conference with off-site presentations. 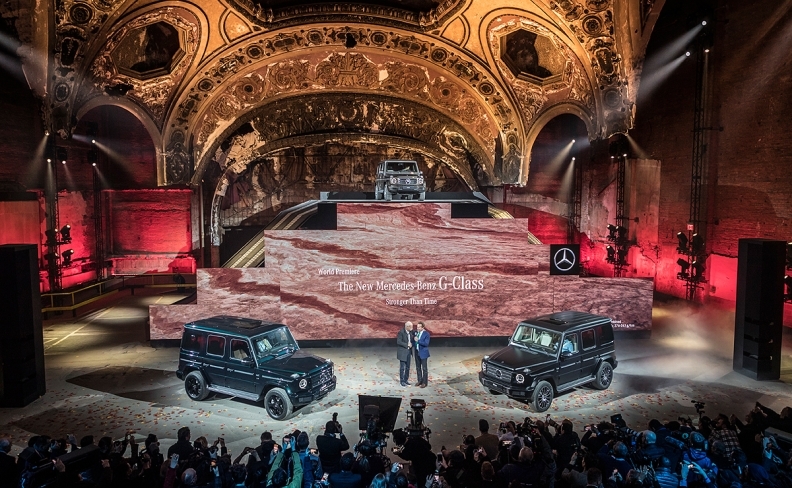 Last month, the automaker rigged out a historic theatre-turned-parking-garage in downtown Detroit to unveil the redesigned G class -– complete with a hill climb, shooting flames and celebrity Arnold Schwarzenegger joining CEO Dieter Zetsche on stage. Over the years, Zetsche has played up his emotional ties to the city. They date back to the early 2000s when he led the former Chrysler Group, then part of Mercedes parent Daimler. Rod Alberts, executive director of the Detroit Auto Dealers Association, which oversees the Detroit show, said: "We haven't heard that news. That's all I can say." Mercedes-Benz held a reception on the eve of the 2018 Detroit auto show that featured the world debut of the new G class. CEO Dieter Zetsche appeared with Arnold Schwarzenegger. 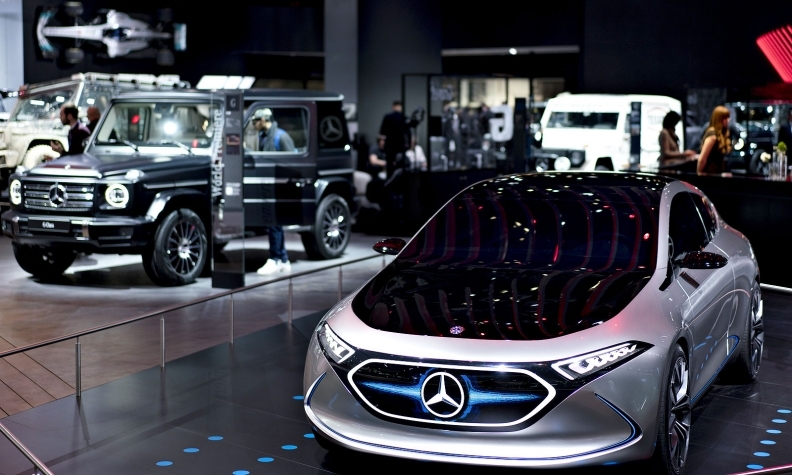 With the onset of electromobility, connectivity and autonomous driving, Mercedes has experimented with new ways to reach consumers, including a Me Convention in September sponsored by Mercedes and South by Southwest. A source with Daimler AG cast doubt on the prospects of a Mercedes return to Detroit. "With the number of models we have there's always a new car waiting to be launched. That's not the reason," he said, dismissing the suggestion that next January's Detroit show might not fit Mercedes' new-product cadence. "Trade shows were designed so potential customers could easily compare prices across brands in one day, but this is no longer contemporary." The source added: "Once you make the decision you're out, why go back?" Amy Wilson contributed to this report.